Is drinking an ice-cold beverage becoming a source of discomfort? Is it suddenly impossible to brush your teeth without grimacing? This symptom is often associated with tooth sensitivity. The question is, what is causing your teeth to be sensitive? Plaque is a sticky deposit or “biofilm”, which forms on the surface of one’s teeth. It’s pale yellow/brown and may be found in various areas of the mouth. An excessive accumulation of plaque results in enamel erosion. The enamel protects your tooth and once it erodes, the tooth loses its armour. In general, flossing and brushing can help remove plaque. A robust oral care regimen and regular visits to your dentist for cleanings (semi-annually) help prevent continuous tooth sensitivity. Teeth grinding or “Bruxism” involves the upper and lower teeth clenching or grating against each other. If it’s a frequent occurrence, the tooth’s enamel begins to erode leaving the dentine exposed. In many cases, a patient may remain unaware of his/her teeth grinding until symptoms appear (i.e. teeth sensitivity, dull headaches, sore jaws). While tooth enamel is strong, it can wear down after months and years of grinding/clenching. This exposes the dentine (middle layer of tooth) and your nerve endings. The ideal solution is to use a customized mouth guard to alleviate all signs of grinding or clenching. Gum disease or “Periodontal Disease” involves bacterial development in the mouth causing cause tooth sensitivity, bleeding, and bone/tissue damage. It appears in two stages, gingivitis (1st stage) and periodontitis (2nd stage). Please note, if corrected, gingivitis does not progress to periodontitis. In general, this is a point of concern for adult patients due to gum recession. 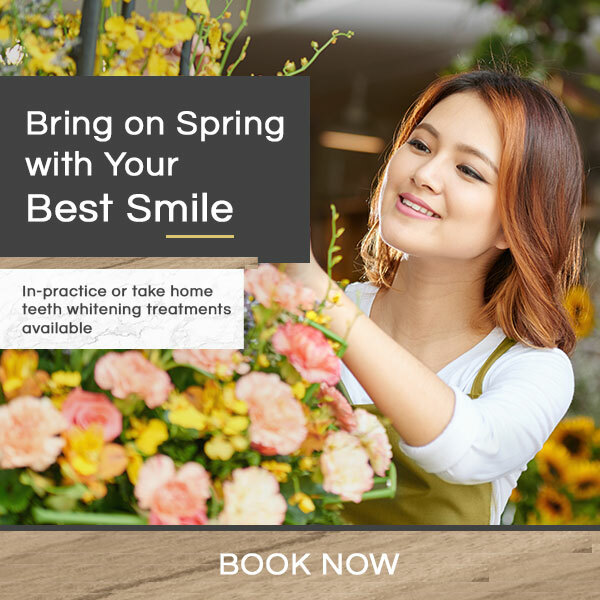 A dental professional can assist with a customized treatment plan to combat your gingivitis/gum disease before it causes unrelenting tooth sensitivity, bleeding, and general discomfort. If left untreated, it may cause considerable bone and/or gum damage. Trauma to the mouth (sporting accident, fighting injury) may cause a cracked tooth. The causes may vary but the result can instigate unremitting tooth sensitivity. The cracked tooth often leads to supplementary discomfort and pain on top of your tooth sensitivity. It’s best to discuss all options with a dentist. Each trauma-related case varies due to factors such as dental history, medical history, type of trauma, amount of trauma, and more. These variables determine the appropriate treatment such as an extraction or use of a cap. Have you received fillings in the past? If so, this may be the cause of your sudden tooth sensitivity. As you age, the dental fillings will start to wear down triggering unexpected weakening, fracturing, or leaking around the edges. In this case, bacteria will accrue in the pint-sized crevices and give rise to enamel erosion or acid buildup. This assessment is made upon the completion of a robust examination of your filling(s). If determined as the cause of your tooth sensitivity, the filling is quickly and easily replaced. This will alleviate your tooth sensitivity immediately. Specific dental procedures may cause lingering side effects for at least 2-3 days and sometimes more depending on the case. Common procedures with noticeable tooth sensitivity include: extractions, dental cleaning, root canal treatment, and placement of crowns. In general, the dentist will warn patients about potential side effects beforehand. However, if necessary, patients are asked to schedule a visit and speak with the dentist for a personalized solution to alleviate tooth sensitivity. In some cases, the tooth sensitivity might have been triggered by the development of an infection post-procedure. While this is rare, it is possible and therefore has to be considered. Yes, it’s possible to have a poorly designed oral care regimen with ineffective or dangerous solutions. Take the time to analyze and tweak your oral care regimen if tooth sensitivity is noticeable. If required, please take the time to speak with a dental professional to chart a better, healthier oral care regimen to alleviate tooth sensitivity. Tooth sensitivity is correctable. It’s important to take the time to examine your teeth, improve oral care hygiene, and stay alert. If the tooth sensitivity persists, do not hesitate to visit a dentist and receive your customized treatment.